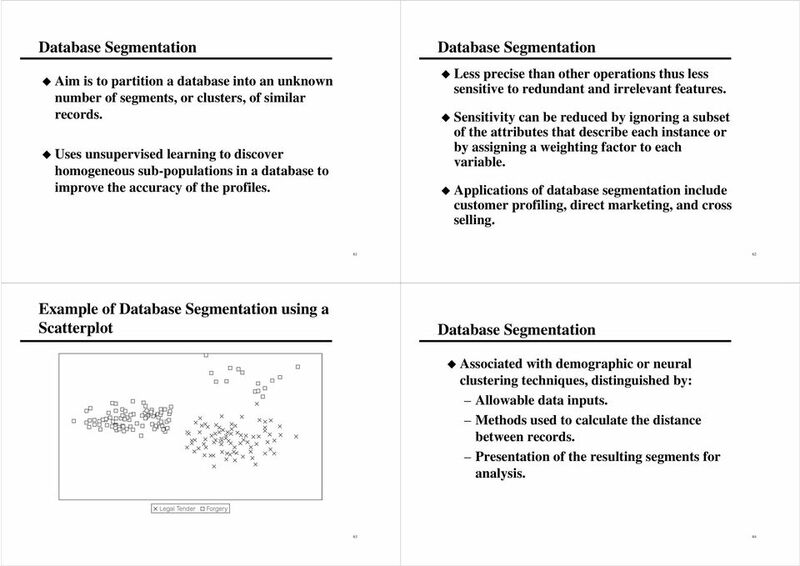 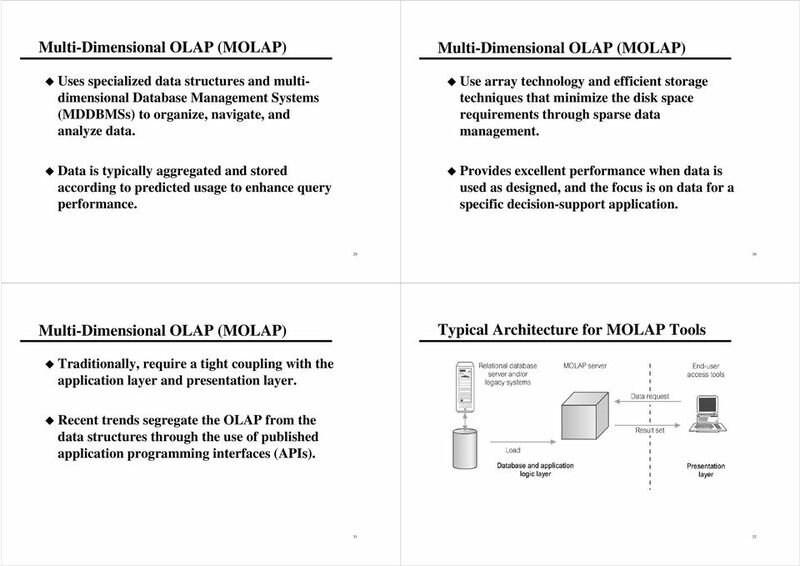 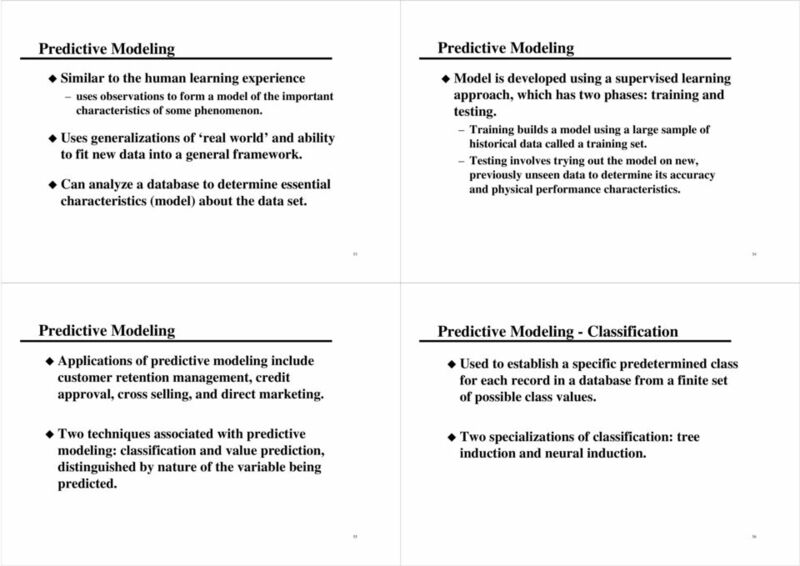 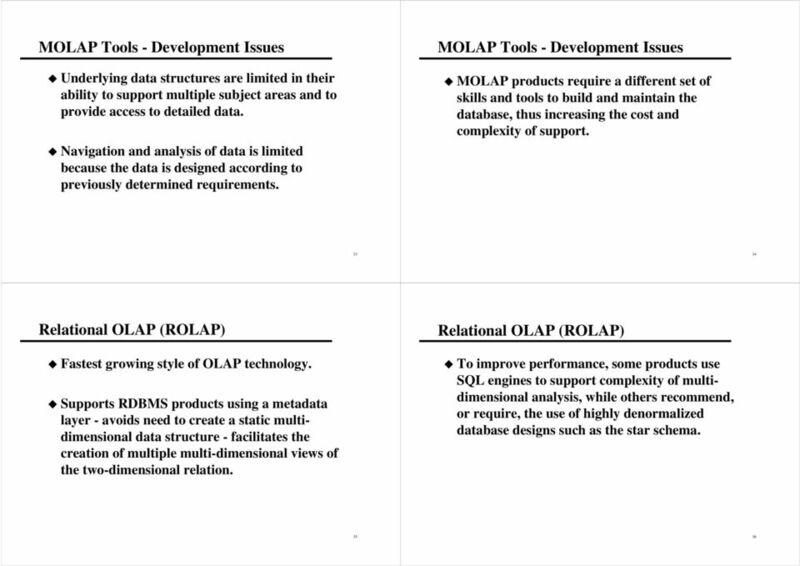 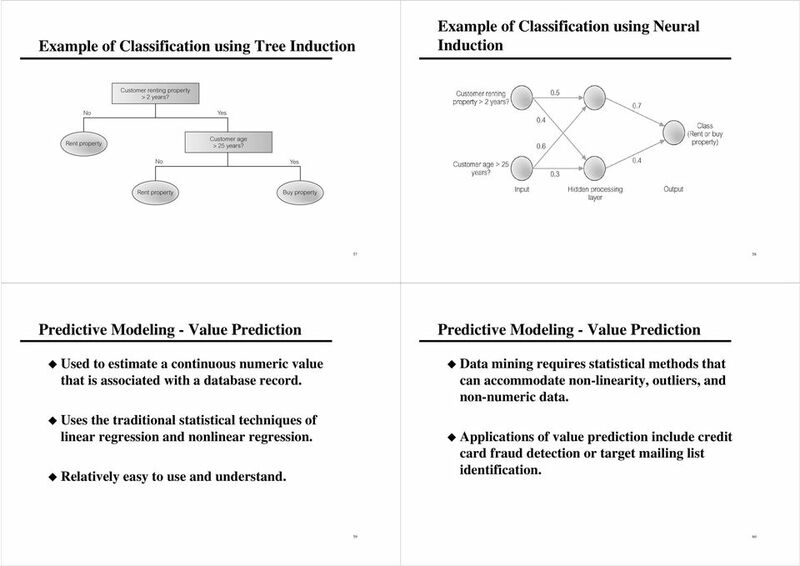 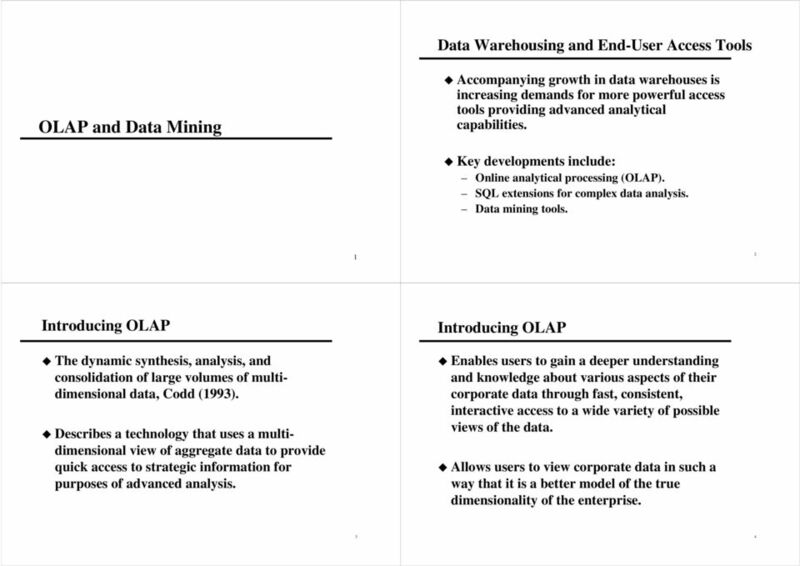 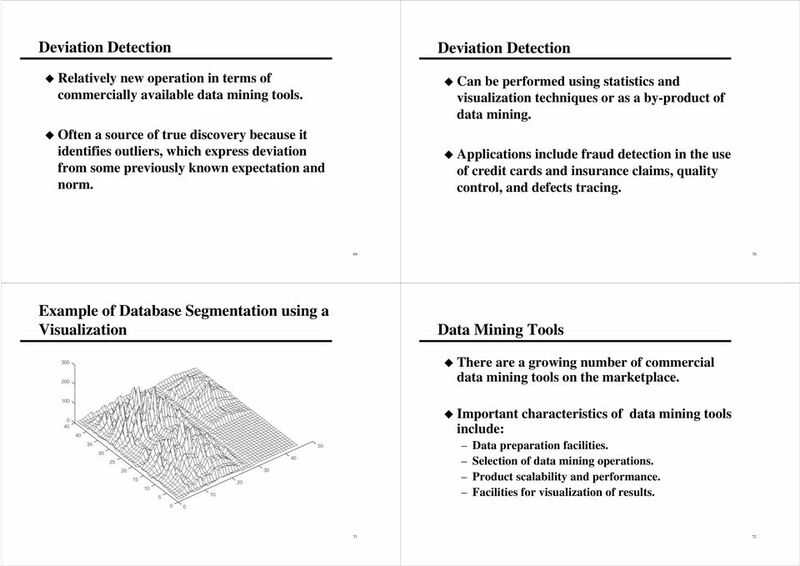 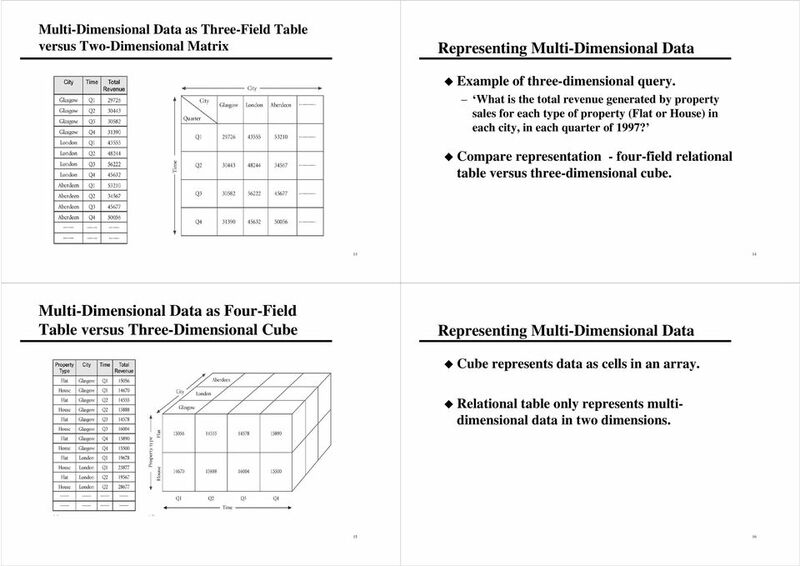 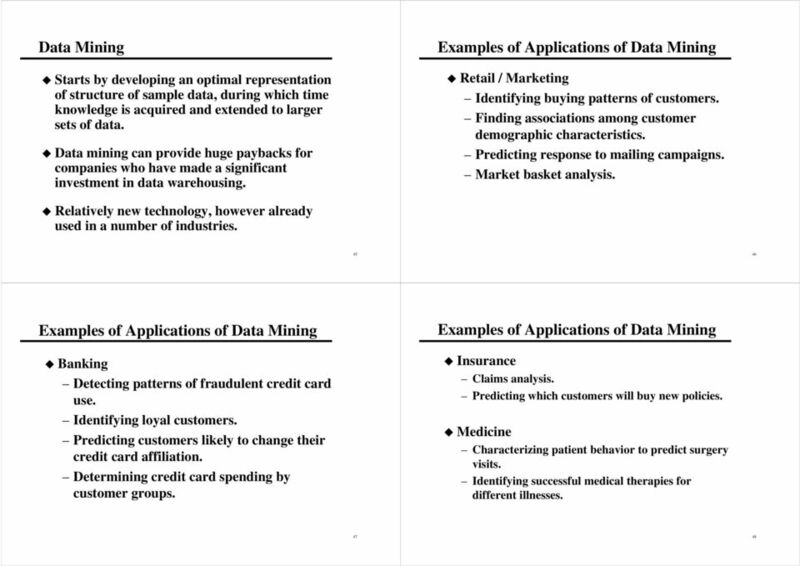 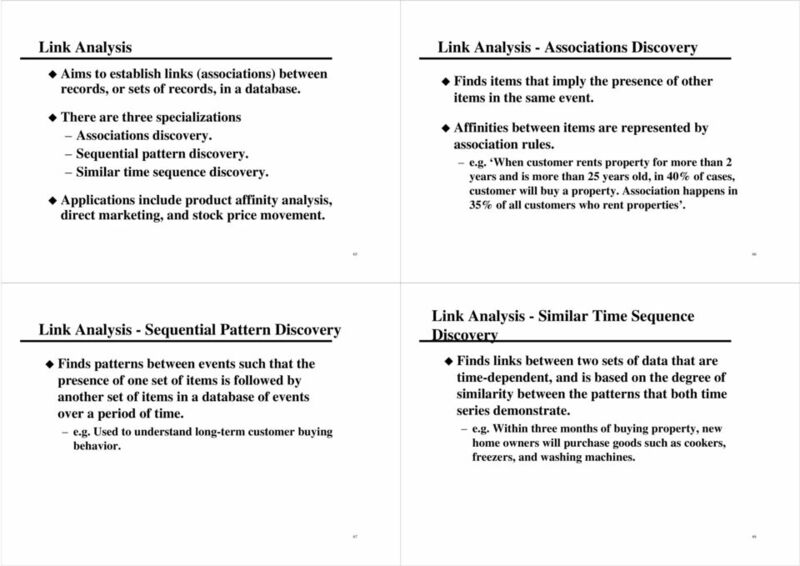 Download "OLAP and Data Mining. 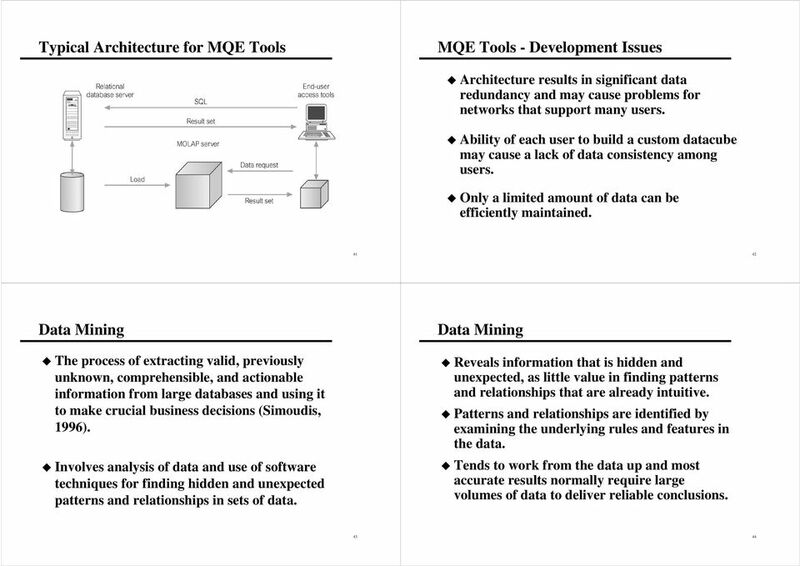 Data Warehousing and End-User Access Tools. 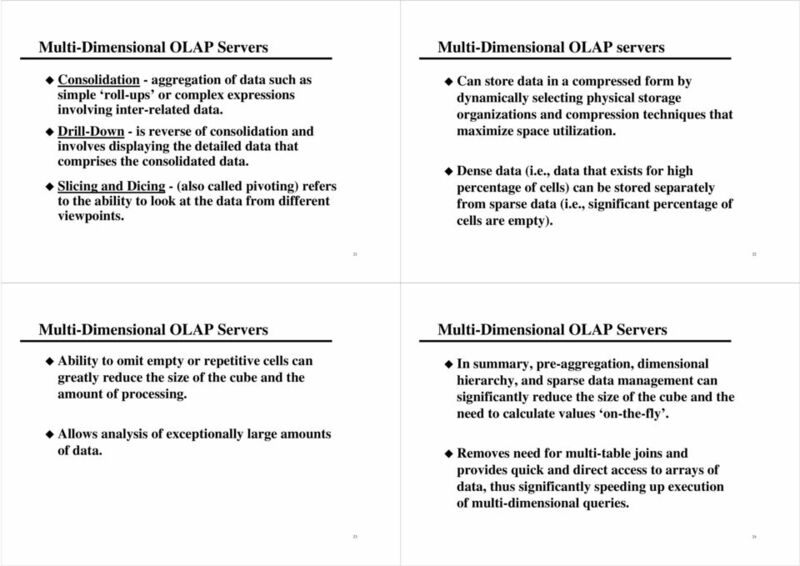 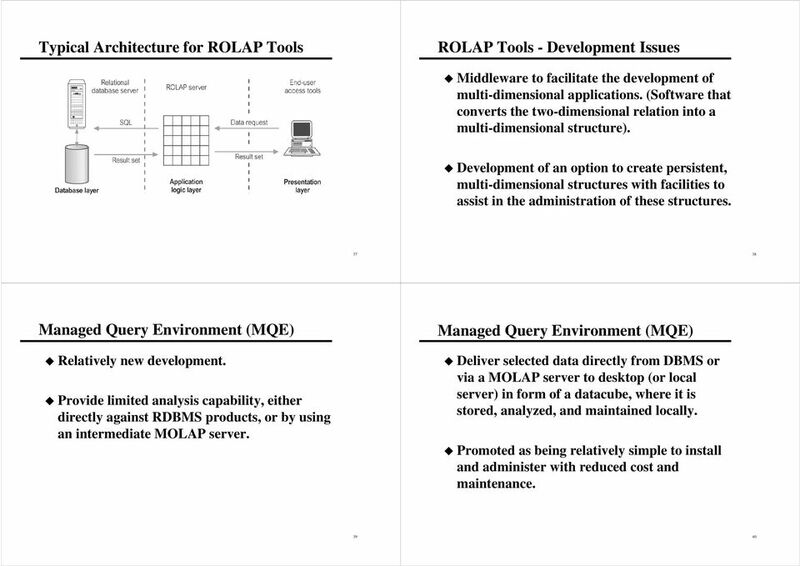 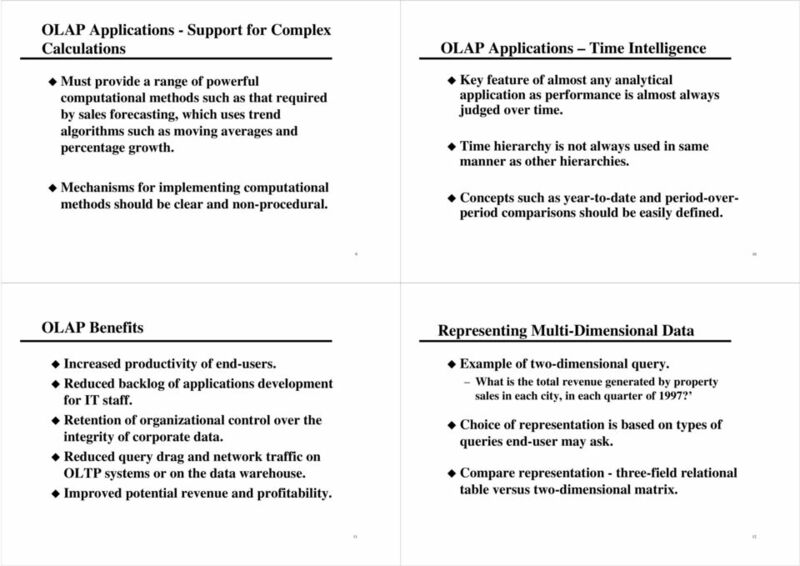 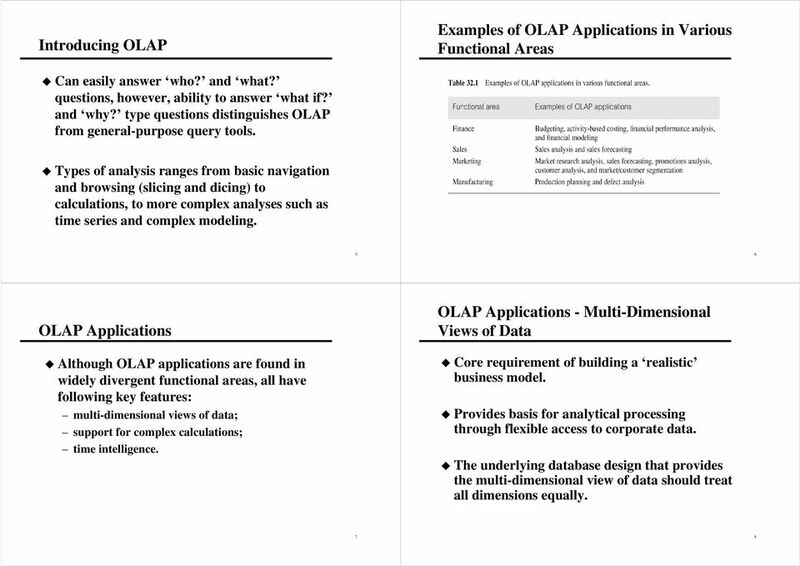 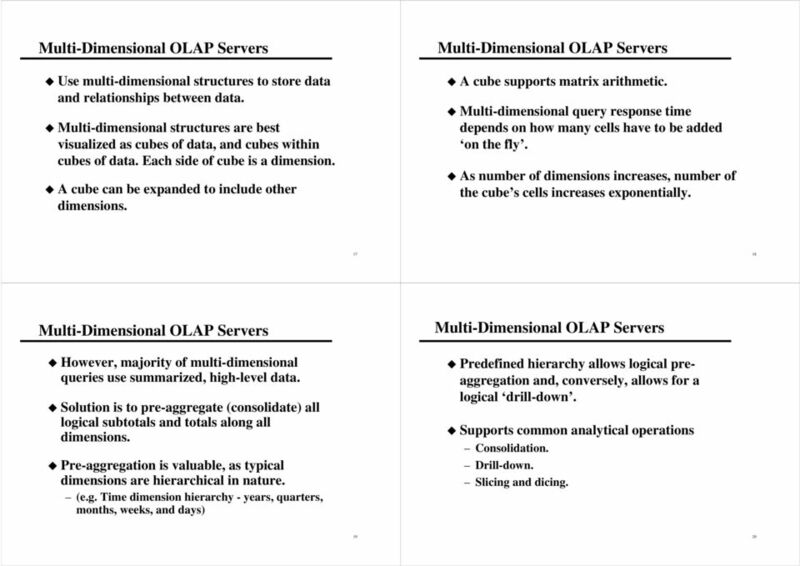 Introducing OLAP. 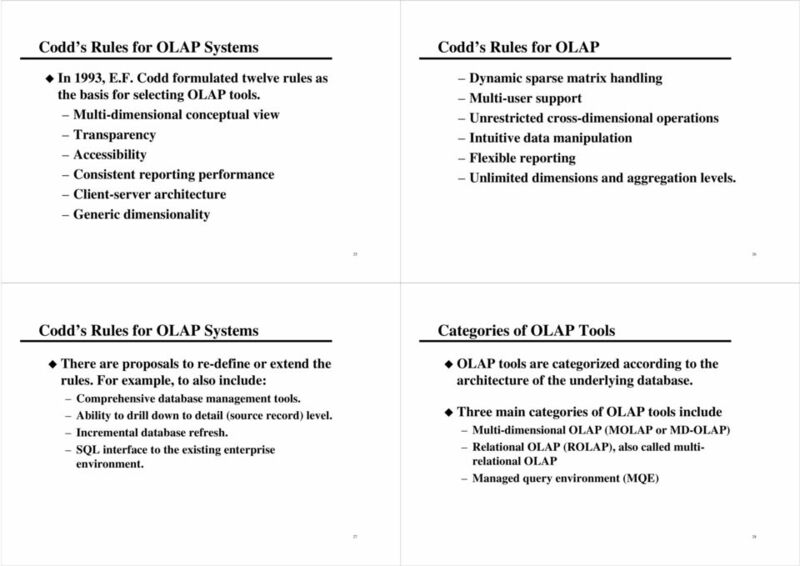 Introducing OLAP"
University of Gaziantep, Department of Business Administration The extensive use of information technology enables organizations to collect huge amounts of data about almost every aspect of their businesses. 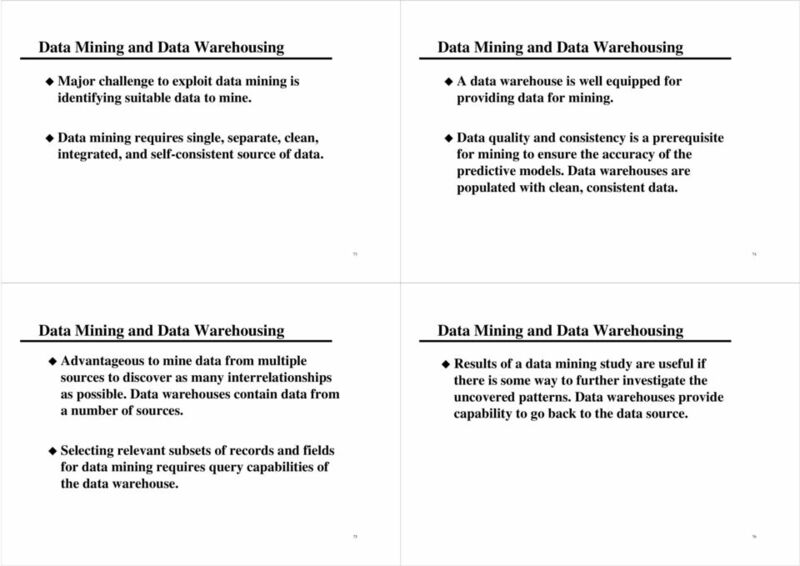 PowerDesigner WarehouseArchitect The Model for Data Warehousing Solutions. 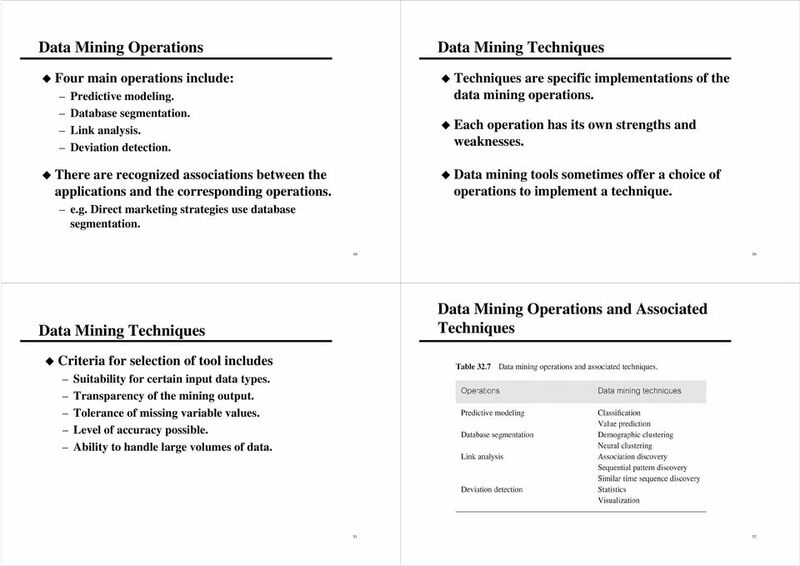 A Technical Whitepaper from Sybase, Inc.
Data Mining: Concepts and Techniques Jiawei Han Micheline Kamber Simon Fräser University К MORGAN KAUFMANN PUBLISHERS AN IMPRINT OF Elsevier Contents Foreword Preface xix vii Chapter I Introduction I I.